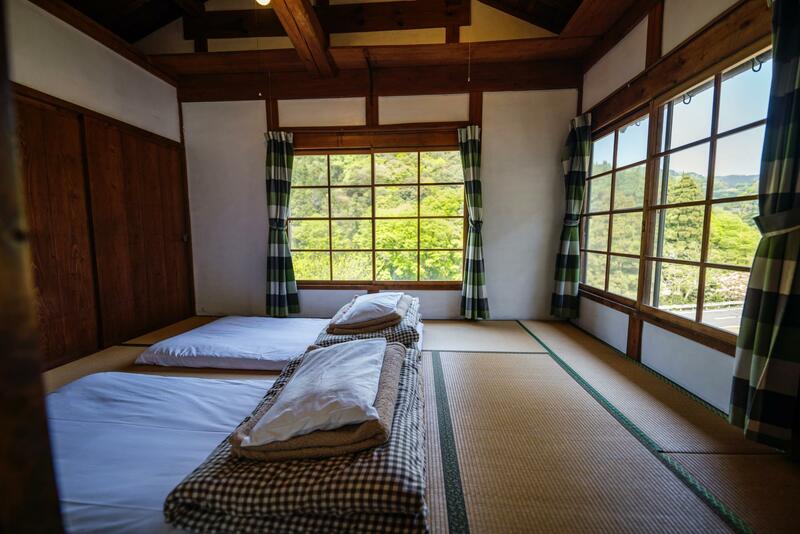 ﻿ Guest House Momonga Village, Miyoshi-shi | FROM $14 - SAVE ON AGODA! "We had a wonderful stay here." Have a question for Guest House Momonga Village? "The best spot to relax !!!" "The staff is very friendly, the house is very comfortable and has a lot of charm." "The room was big and clean, the bathroom and toilets also." "Superb and friendly staff, great room in a beautiful area." 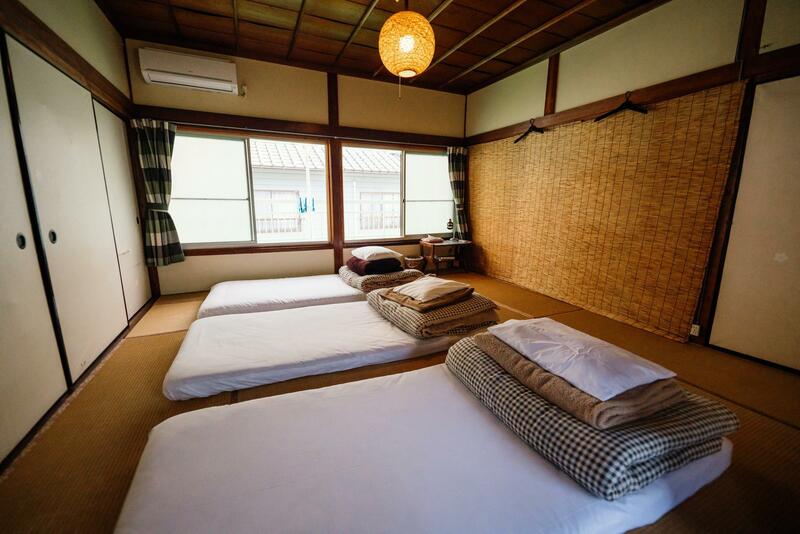 Situated in Miyoshi, Guest House Momonga Village is the perfect place to experience Tokushima and its surroundings. From here, guests can enjoy easy access to all that the lively city has to offer. No less exceptional is the hotel's easy access to the city's myriad attractions and landmarks, such as Matsuogawa Onsen, Unpen-Ji, Oboke-kyo & Koboke-kyo. The facilities and services provided by Guest House Momonga Village ensure a pleasant stay for guests. Kitchen, free Wi-Fi in all rooms, Wi-Fi in public areas, car park, shuttle service are just a few of the facilities that set Guest House Momonga Village apart from other hotels in the city. The hotel features 8 beautifully appointed guest rooms, many of which include internet access – wireless, internet access – wireless (complimentary), non smoking rooms, air conditioning, heating. The hotel's recreational facilities, which include water sports (non-motorized) are designed for escape and relaxation. 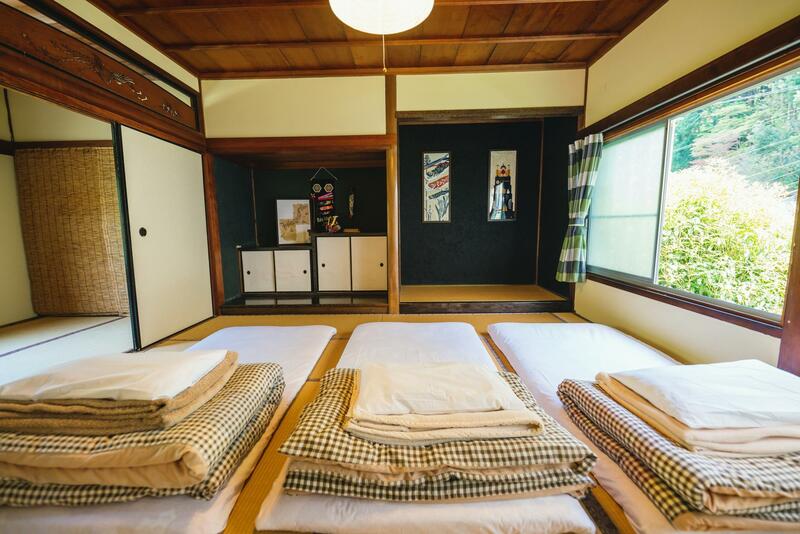 Enjoy unparalleled services and a truly prestigious address at the Guest House Momonga Village. "Cool guesthouse with a hippie atmosphere, great natural loca..."
Cool guesthouse with a hippie atmosphere, great natural location with the sound of water stream to accompany your stay. We loved it. Very good with staff/helpers, they are very polite even i was late, they arrived the station on time to pick me up to guest house. The staffs were so friendly n helpful. Although the place is far away from the station. They can pick u up at the train or bus station. Thank you so much!! Clean and friendly. Dorm walls are thin. Surrounded by nature. Great for riders. the staff were extremely accomdating, gave lots of advi ce and always tried their best to help. the location was really far from all sightseeing sights though.....best is to drive. they have parking. We had a wonderful stay here. The staff is very friendly, the house is very comfortable and has a lot of charm. The area is beautiful! The owners managed to make this place really nice for everyone. The room was big and clean, the bathroom and toilets also. The common room is huge, with sofa and tables and facilitates discussions between guests and the guesthouse team in the evening. The owners cook really good meals for dinner and provide simple food you can take, cook yourself and pay in a coin box. We really liked this system based on honesty which works very well. We felt very welcomed and met great people here, thank you ! Superb and friendly staff, great room in a beautiful area. It was great to be able to hire a car from this company. Didn't met the owners but the girls working there were extremely helpful and friendly. One of Japan's hidden gems! 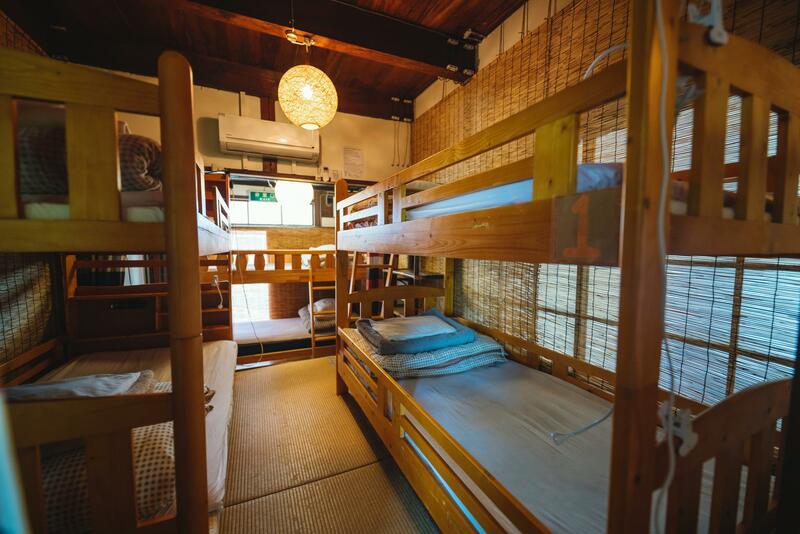 this is the wood hostel, the decoration are nice, the staff are nice. the price is cheap but have to drive, they can provide free parking. i love this hostel. We were treated so good and they gave us many advice regarding the things to do around. We felt like at home, so nicely place and great staff!! EXCELLENT value!! This is a great base for exploring the beautiful Iya valley, and the accommodation is comfortable and clean with friendly service. Bathroom and kitchen are communal and well-maintained. Babee, the owner, was very helpful and gave us great information about local sights, restaurants and onsen. Check what's included, as the guesthouse is self-catering and doesn't provide food, only cooking facilities. There are no restaurants in walking distance and those that are a short drive away shut at about eight in the evening!